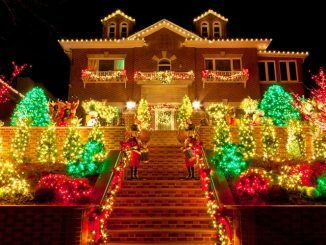 Whether you’ve got a bare brick wall outdoors that would be perfect for a Christmas wreath, or if you want to hang stockings on a brick wall above the fireplace indoors, there are a variety of ways to do it. Attach a brick wall hanger to your brick where the brick juts out a little more than the mortar. Attach your wreath to the brick wall hanger. 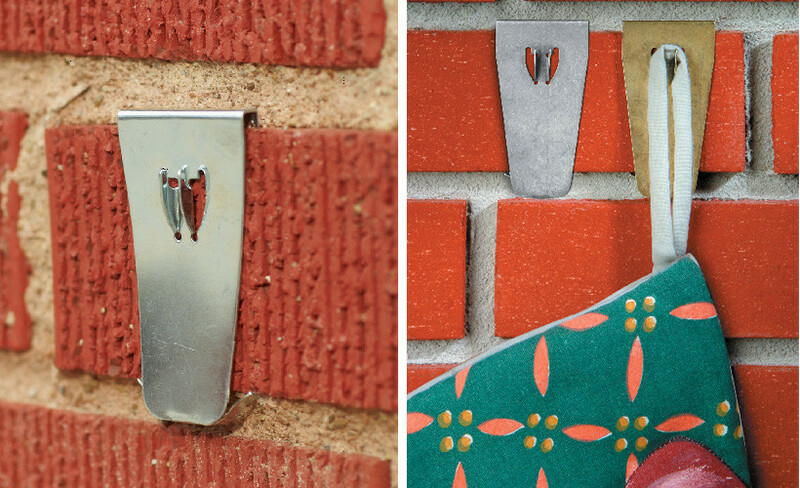 To attach a stocking to a brick wall, simply attach the hook of the stocking over the clip part of the brick wall hanger. If your stocking doesn’t have a loop already on it, you might want to hot glue or sew a small loop out of ribbon onto the top of it. At your local hardware store, look for industrial grade double-sided tape, which would probably be in the paint department. This tape is typically designed to hold up to 5 pounds, but that might depend on the surface of the brick and how well the tape is able to adhere to it. If you don’t want to drill into the brick wall for your stockings, it could work to place a strip along the top of the back of the stocking and stick each stocking to one brick. Also at your local hardware store, you could buy some hooks that actually screw into the brick or mortar. Different hooks handle different weights, so before you head out to purchase a hook, you should weigh the stockings or Christmas wreaths so that you know what to look for. Then, as you shop, you can look for the correct hook for the weight of your decor. If you are going to use screw-in hooks, you will also need to purchase a masonry drill bit, unless you already have one, and drill into the mortar so you don’t damage the brick. Be certain that this is the option you want, because once there is a hole in the mortar or brick, it will be permanent. If you have a wreath for every season and holiday that you want to hang in that same spot on the brick wall, this would be a good option. A concrete wedge anchor is another way that you can hang a wreath or stockings on a brick wall. 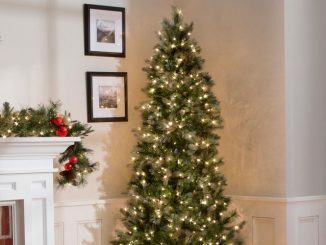 The wedge anchors can either be fastened to the mortar and then attached to another type of hook that you will then hang the Christmas decor on, or you could hang a wreath or stocking directly onto the anchor. 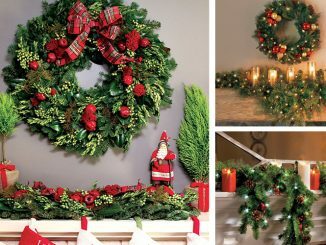 They are fully threaded for extra durability and will hold your wreath or stocking on the brick all season.